I started blogging not long after Justin was diagnosed in November 2012. It was a way for me to let family know what was going on and how we were doing. It was also a place for me to vent my frustrations. I wanted to start blogging because, before we had even left the hospital I was googling "7 year old son diagnosed with type 1 diabetes" and other similar searches. I came across many T1D Mom blogs and reading their stories gave me such relief knowing that I wasn't alone, and someone would understand exactly how I was feeling. Yes, I knew we weren't alone, but in the days that follow after your child gets diagnosed with a chronic disease, it's a very lonely place. My hope when I started was that another parent of a newly diagnosed child would find my blog & think the same as I did, relief that someone else felt the exact same way and understands. 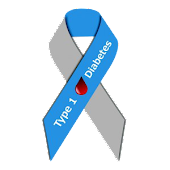 My biggest awareness message that I try to get through, whether on my blog or through facebook is the signs/symptoms of Type 1 diabetes. There have been way too many deaths due to undiagnosed T1D. When all it takes is a drop of blood, It breaks my heart that families have to deal with that. Looking forward to sharing my thoughts over the next week with you! 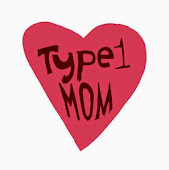 That's such a great story to hear that you were able to find other mom of T1D blogs shortly after your son's diagnosis. Thanks for sharing! I agree, there is still so much type 1 unawareness out there. My doctor failed to give me a finger prick when I first went into his surgery. Thanks for sharing your story.